SSB Odisha Recruitment 2018: Online applications are invited from the prospective applicants who are native of Odisha for the recruitment of 30 (Thirty) posts of Junior Assistant for the Berhampur University on a contractual basis. 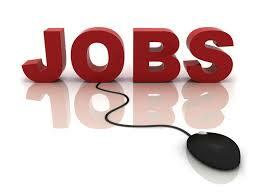 Aspirants are required to apply Online through website www.ssbodisha.nic.in at the link available on this site. The State Selection Board, Department Of Higher Education will accept the application from 26th September 2018 to 25th October 2018. So, the hopefuls can check all the details and apply for the SSB Odisha Junior Assistant Recruitment 2018. We have given the link on this page to apply for the SSB Odisha Recruitment 2018 for the sake of competitors. The applicants of the general category should not be less than 21 years or more than 32 years of age as on 01.09.2018. The upper age limit prescribed is relaxable by five years for aspirants belonging to the categories of Scheduled Caste (S.C.), Scheduled Tribe (S.T. ), Socially and Educationally Backward Classes (S.E.B.C. ), Women, ExServicemen. Similarly, the upper age limit is relaxable by ten years for the PwD candidates, whose disability is not less than 40%. A contender should possess a Bachelor’s Degree in any discipline from a recognized University with a Computer Course certificate from any recognized institution. A non-refundable and non-adjustable fee of Rs. 800/- only for the applicants coming under the Unreserved category and Rs. 400/- only for the aspirants belonging to Scheduled Castes/ Scheduled Tribes and PwDs are to be collected. The amount shall be deposited On-line at the time of submission of online application. The individual must be a citizen of India. The applicant should be able to speak, read and write Odia fluently and must have passed at least an exam in Odia language equivalent to M.E. School standard conducted by the B.S.E., Odisha. A contender, who has more than one spouse living, will not be eligible to apply for the SSB Odisha Recruitment 2018 for appointment unless the State Government has exempted his/her case from the operation of this limitation for any good and sufficient reasons. The government servants, whether temporary or permanent, are eligible to apply, provided that they must inform their respective head of office in writing regarding submission of their applications for this recruitment and produce “No Objection Certificate” by the date of Skill test. Each selected aspirant will have to submit a medical fitness certificate from a doctor to the Berhampur University. Hopefuls who are eager to apply for the SSB Odisha Junior Assistant Recruitment 2018 can refer to all portions on this page. We have given all the details which are to be checked before starting the application process. All the contenders need to complete the application process on or before the last date. The written examination will intimate to the aspirants by the officials on their official web portal. Hence, the candidates can stay tuned to our web portal @ Sakari Recruitment along with the authorized site to get the latest updates. We will update the information frequently related to the SSB Odisha Recruitment 2018 on this page. Hence, check all the particulars and then start the application process for the SSB Odisha Recruitment 2018. Visit the official portal of the State Selection Board, Department Of Higher Education @ www.ssbodisha.nic.in and follow the given steps.